Yes, “unlimited” technically means unlimited PTO, or an open vacation policy, where employees can take as many days off as they choose to or need to. 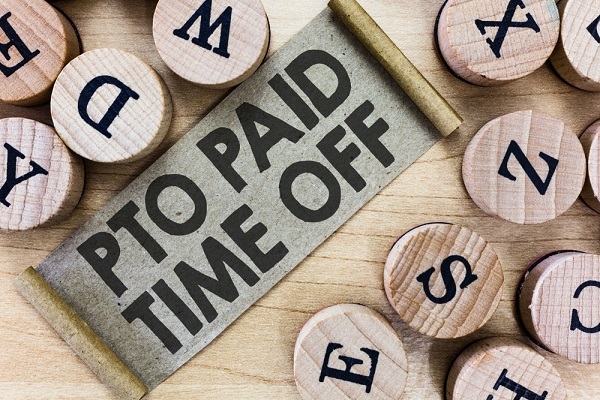 Unlimited PTO is becoming increasingly popular as companies grow weary of tracking days, tracking accruals, answering requests from employees to go over (or be paid out for extra)... many business owners look at the research and case studies and decide to see what will happen. Unlimited PTO is also a very trendy recruiting tool in today’s ever competitive talent market, and it is a way for companies to differentiate themselves to millennials and Gen Z, who are increasingly picky about their benefit expectations. Need help writing a time off policy or making sure yours is compliant? Let’s start from the beginning- the “before” phase. Now that you have answered these questions, you’ll need to create the actual policy. Use the above policy as a free template, and reach out to 4 Point Consulting’s expert HR team if you’d like some customized help. Try using a different term other than "Unlimited PTO" such as, "Personalized PTO", "Flexible PTO", "Self-Managed PTO", or "Responsible PTO" to better reflect the policy. Incorporate the policy into your company's mission, vision and company values. However, you should also note that there are several states and cities with paid sick time policies (if you are in one of these, you should already be aware!). However, unlimited PTO can easily cover the sick time law in your city or state as long as you include wording of such in your policy (see example above in article). Need help making sure your policy is compliant? Contact 4 Point Consulting! Kronos began implementing an Unlimited Vacation Policy in 2016 using a system called myTime. The roll-out of this new system was not easy and involved educating all employees on the process.The CEO of Kronos believes the old way of giving time off is outdated, especially with today's technology many employees do not stop working when they leave the office. Employers need to focus on results over office time in order for this kind of system to work effectively. The implementation of unlimited PTO gave Kronos a huge financial savings that they used to provide additional benefits such as increased maternity and parental leave, increased 401k matching, and tuition reimbursements. One of the big complaints from employees about unlimited PTO is that it is only implemented to help the company's bottom line by avoiding PTO payout to employees. This was Kronos' way of showing employees that their goal is to better the workplace, not for their own financial benefit. While this new policy wasn't greeted with 100% positivity by employees, Kronos saw an increase in employee engagement and a decrease in voluntary turnover as a result of unlimited PTO. Ultimately, it may not work for every company, but it has a good chance of working as long as there is a trusting employee/employer relationship. MammothHR discovered it wasn't the time off that created the difference, but the flexibility that employees truly valued. It gave employees the ability to freely live their lives outside of work, knowing they didn't have to stick to a rigid PTO policy. It also put trust in employees, giving them the autonomy to get their work done in the way that best suits their lifestyle. Want some customized help for your business? 4 Point Consulting provides one-on-one HR administration at an affordable hourly rate.